NoviWare NOS for Tofino consists of all the software necessary for a pure-play OpenFlow switch, and currently Barefoot Tofino ASIC with host CPU’s from Intel. Today’s major network operators demand flexible, scalable switching and routing solutions that deliver wire-speed performance. NoviWare was designed from the ground up to be a reliable, scalable platform for OpenFlow, combining a fully programmable L2-L7 packet forwarding data plane with high throughput performance. Come see our CyberMapper demo delivered on Barefoot Networks’ 6.5Tb/s Tofino Ethernet switch ASIC, the world’s fastest P4-programmable switch silicon running NoviFlow’s NoviWare NOS. Barefoot’s technology, together with P4 programming language and the rich ecosystem around it, has enabled network equipment and software vendors to deliver agile and intelligent solutions to their customers. NoviFlow’s industry-leading NoviWare NOS takes advantage of this paradigm shift, implementing a fully programmable and extensible match-action pipeline that exposes the advanced capabilities of Barefoot’s Tofino switch chip to controllers and applications running open standards including OpenFlow, gRPC, P4 Runtime. 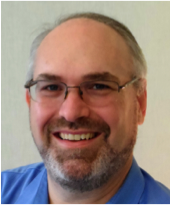 Don’t miss the opportunity to see our very own VP of Strategy and Marketing, Marc LeClerc, on the SD-WAN and The State of Software-Defined Security, on the New Service Horizon track, on Monday, May 15. The panel discussion will be focusing on the market traction that SD-WAN has gained this year, but also the concerns over security. Some SD-WAN suppliers interoperate with security vendors, others have developed their own integrated security solutions or provide both services. Is one approach more effective than the other and how do service providers select the best option to address current and future security threats? Panelists will address the state of software-defined security in SD-WANs and how to deliver a secure platform to customers. Other panelists include Fortinet, Windstream, Palo Alto Networks, Open Systems senior leadership. 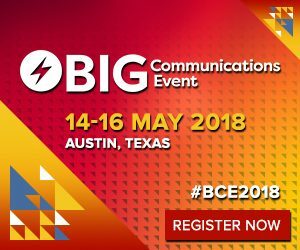 Want to meet the NoviFlow team or schedule a demo at Big Communications Event 2018?